In 2009, the fight against climate change entered a phase that is as difficult as it is decisive. Behind the resistance of conservatives to taking action lurk the big lobbies for the fossil fuel sector who would prefer to see small consumers pick up the bill for the energy transition. The Greens believe we cannot let our guard down. On the contrary, we must step up our efforts from now until the COP summit in Paris in 2015. GEJ: Could you give us an overview of progress made on the issue of climate change in Europe since 2009? Claude Turmes: I differentiate between three phases of progress in efforts to fight climate change. The first starts in 2007 and ends in 2009 with the failure of the Copenhagen summit (COP 15) and the change in attitude of conservative parties. The second runs from 2009 to 2013 and the third began in early 2014 with what I call the “Barroso Putsch,” which marked the beginning of phase marked by much more conflict compared to the previous two. The first period, 2007- 2009, was generally positive. It began with increased awareness of the challenge of climate change thanks to the Stern report and Al Gore’s film, “An Inconvienient Truth.” The second phase started with the failed Copenhagen conference. During this phase, the impetus of the previous phase meant that we were still able to make some progress on two very important directives in the area of energy efficiency. The first directive applies to new constructions and was concluded in 2010. We weren’t able to make progress in the area of building renovation due to a lack of funding. However, thanks to an amendment made by the Greens, we were able to secure provisions that require all new buildings built in Europe as of 2021 to be “Near Zero Energy.” This is an enormous incentive for the building sector. The next step will be for new buildings to produce more energy than they consume. What is the second directive? The European Energy Efficiency Directive (EEED), for which I served as rapporteur. The directive sets the objective of reducing primary energy consumption throughout the EU. This is crucial if we are to segue into a new green economy. For this purpose the directive establishes a whole range of instruments. Each Member State must draw up a full register of all buildings and establish an action plan for renovation to boost energy efficiency. This plan must include subsidies and measures to improve the training of those working in the construction sector. All public buildings must be exemplary. What’s more, all major industries must have an Energy Management System to handle energy flows. In this way the directive establishes the principle of “Demand- Response.” That means that in the future the European electrical grid must have increasingly flexible production systems so that they can pick up where renewables leave off, such as gas turbines. Also, some types of highly consuming infrastructure must be made more flexible. The directive is currently being transposed into national legislation. This is a very important accomplishment that came after a long and arduous battle. This illustrates the European Parliament’s ability to resist the pressure of lobbies. The ball is now firmly in the court of the ministers and heads of state and government. What resistance did you encounter? Until the French presidency of the European Union in 2008, the conservatives had a climate agenda. Then, they completely abandoned it to toe the line of Mr. Mittal (Part-owner and CEO of ArcelorMittal) and other giants of the energy industry. They want us to believe that the economic crisis in Europe is the consequence of overly strict environmental laws. Prior to the collapse of Lehman Brothers in September 2008 we had won the meta-debate on climate change. Al Gore’s film and the IPCC report were so convincing that even a conservative like Sarkozy drew up a Climate Package, which the French Presidency of the Council of the European Union made a priority. This demonstrates the importance of social movements in setting the political agenda. This impetus meant that we were able to conclude the EEED, despite the fact that the conservatives had changed stance. Then, in early 2014, came what I call the “Barroso Putsch” i.e., the Commission’s proposal for the Climate-Energy Package 2030. Why do you consider this a putsch? First, because it calls for a European-level reduction in GHG emissions of 40% in 2030 compared to 1990 levels. That is lower than what scientists are advocating for and it will result in developing countries doing nothing. Second, by suggesting that as of 2020 we will not need binding objectives for each Member State, Barroso is attacking the governance of the two flagship directives of the Energy-Climate Package: the Renewable Energy Directive and the Energy Efficiency Directive. Without binding national objectives, some governments, Poland and the United Kingdom to name two, will be tempted to stop making any progress in the way of renewables and energy efficiency. Most importantly, without European convergence on what we call the three “No Regrets” (energy efficiency, renewables and grids), we’re running the risk of blowing up the internal energy market. How do you explain Barroso’s stance on this? He’s been influenced by the business lobby BUSINESSEUROPE and by the so-called “Marguerite” group, the gas and coal lobby. Under the supervision of Gérard Mestrallet, chairman of the board of GDF-Suez, this surreal lobby aims to kill renewables and energy efficiency. They know perfectly well that energy efficiency and renewables would mean energy savings for Europe of €500 billion a year. This would be money in hand for the citizens of Europe. And it would also mean a smaller paycheck and less clout for geopolitical meddling for Monsieur Putin. But mainly it would be a blow to the profits of GDF-Suez and other gas and coal companies. So Mr. Mestrallet lobbied Mr. Barroso to water down any European energy policy that would actually protect the environment while boosting energy independence and job creation in renewables and insulation worth some 400,000 jobs that in time could become 2 million jobs in Europe. Hasn’t there been an outcry? Yes, thankfully in February 2014 the European Parliament rejected Barroso’s 2030 proposal. Instead, they called for a 30% renewable target instead of 27% and for a binding energy efficiency target of 40%, whereas the Commission proposes no target for efficiency at all. They also demanded targets that were binding on Member States instead of one target for the EU as a whole. This illustrates the European Parliament’s ability to resist the pressure of lobbies. The ball is now firmly in the court of the ministers and heads of state and government. How do you explain why this conflict is not more clearly apparent outside of the European Parliament? Well the problem is that Mestrallet is working on the sly by entering into contracts with politicians. For example, GDF more than likely signed a contract with Rachida Dati, an MEP from the French right, in exchange for negatively swaying European energy policy. In the near future she will appear before the Parliament’s Ethics Committee. Plus, cunningly, Mestrallet and his buddies in the electricity sector sent in Mittal and “coal” ironworkers to say that the Greens, in their attempts to tackle climate change, were destroying jobs. However some very energy intensive companies, like BASF for example, have yet to pay a single penny under the EU’s Emissions Trading Scheme (ETS). None of the 17 companies from Luxembourg that are in the EU ETS have paid a single Euro to date. It is estimated that by halting, but not closing, the metal plants in several regions in Europe, Mittal made a profit of €300 million on the European quota system. That has not stopped him from complaining to European governments that it is their efforts to fight climate change that are killing his business. No other political movement has as much expertise on climate change policy and on the best way to implement it while factoring in social, employment and industrial development issues. His second line of attack is to say that renewables make the cost of electricity higher in Europe than in the United States. It’s ludicrous! The cost of electricity has been lower in Europe than in the United States for 30 years. The German bank KfW carried out a study that clearly shows that Europe has not lost its competitive advantage in energy precisely because European businesses are more energy efficient. Mittal forgot to point out that the price on the electricity market has fallen from €65 per megawatt in 2008 to €40, or even less, today. Electricity has never been more affordable for European industry. Companies like Mittal have received hefty exemptions from the mechanisms to boost renewables. We also know that since 2008 European exports of steel have increased while imports from Kazakhstan, the United States and Brazil haven fallen. If European companies were not competitive, how could this possibly be the case? So, Mittal does the dirty work for the gas and electricity sector and he has the ear of some politicians. He lies to destroy what we have accomplished in the area of energy policy. 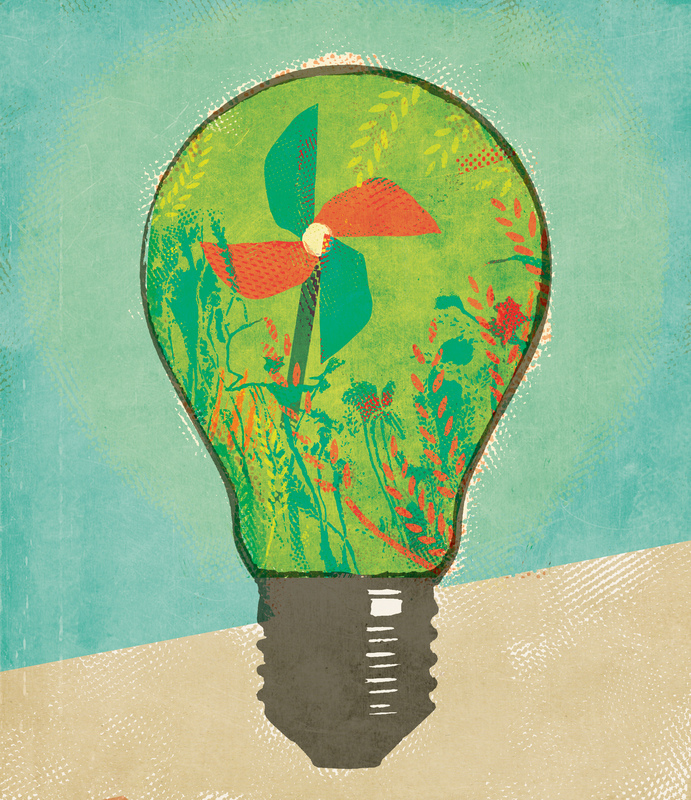 At a time when two thirds of European production plants must be replaced, when we need to invest in distribution lines and high voltage, the strategy of the big industrial producers who account for 30-40% of electricity consumption in Europe is to pass on the cost of the energy transition to small consumers and SMEs. They want to be the only ones who don’t have to bear the brunt. Besides Rachida Dati, who are the main European Parliament points of contact for the big producers? Generally, the conservatives, some liberals, and a few socialist governments. Having said that, we were able to face down the “Barroso Putsch” in February thanks to the support of the Socialists and Democrats Group of MEPs, who voted with the Greens, and some far-left MEPs, some liberals and a small minority of around 50-60 conservatives, including a Belgian MEP Anne Delvaux, with whom we have worked on numerous occasions. What is the best strategy to fight back against the stealthy approach of the fossil fuel sector? First, we need to strike head-on and show Messieurs Mittal and Mestrallet’s lies for what they are. We need to use the numbers to debunk their shameful and intolerable lobbying. Then, we need to strengthen the link between environmental policy and economic recovery. How can an economy that loses €500 billion every year because it inefficiently uses gas, coal and oil possibly be strong? By sending less money to Putin we redirect that money to Europe for added value and job creation at home. Developing wind turbines, solar energy, building energy efficient cars and expanding public transportation are also ways of bringing added value back to Europe and creating jobs. Therefore the Greens have the major challenge of showing that Europe must make investing in energy a priority. Fine, but with what money? The bad news is that the European budget at 1% of total European GDP is not enough. The battle over the European budget has clearly been lost. However we cannot forget that there are still €23 billion of structural funds that are earmarked for energy efficiency and renewables. A flagship project for the European Greens should be to use this money to leverage loans for investment from the European Investment Bank. The EIB, the world’s biggest public investment bank, could offer cheap money for building renovation, development of wind energy, and photovoltaic (to take back the competitive edge from China). It could also contribute to modernising the European grid to facilitate integration, especially in the area of wind power. What is your take on the future of international climate negotiations? The Copenhagen Summit was a real failure, notably because of divisions that existed within Europe. Europeans also made the mistake of believing that they could count on an alliance with Obama, who unfortunately didn’t have backing from a majority back home. Therefore, we should learn from our mistakes if we want the COP Paris 2015 summit to be a success. First, we need to make the financial commitments that were made to developing countries after Copenhagen and Cancun a reality. There is no chance for success in Paris without the establishment of the Green Fund or the Climate Fund. Who can make that happen? The next European Commission and the French government who will be chairing the Paris Conference. Plus, Luxembourg will hold the rotating Council presidency of the European Union in the second half of 2015, so Carole Dieschbourg (Green Party Environment Minister) will be key. We also will need to build a global movement involving stakeholders like towns and cities. Currently there are several alliances like the Climate Alliance, Energie Cité, and former New York mayor Michael Bloomberg’s C40. They’ve set themselves the goal of getting 5,000 big cities from around the world to commit themselves to fighting climate change from now until the Paris Conference. In the area of renewable energies a partnership should be forged with IRENA, which is the global organisation for renewables, to show developing countries that renewable energy sources can be developed at a cost that has decreased drastically over the course of the last few years. Do we also need to reinvigorate citizen involvement? I, like José Bové, believe that Paris must be the “Climate’s Seattle.” So in November 2015 we need tens, even hundreds, of thousands of citizens to take to the streets to exert pressure on the governments. After Warsaw, people are sceptical. Should we continue to use the streets for our activism? Warsaw was an insult to the climate and to future generations by the Polish government. Fortunately, it was viewed as such by all of the other delegations present from around the world. Poland forever tarnished its reputation by changing Environment Minister in the middle of negotiations. 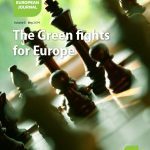 What role should the Greens play? The role of the Greens is threefold. No other political movement has as much expertise on climate change policy and on the best way to implement it while factoring in social, employment and industrial development issues. We must bring this expertise to the negotiations. We should also use our position within the governments of Finland and Luxembourg. Then, the Greens must tighten their networks with the various stakeholders: cities, producers of renewables, those working in energy efficiency. The Greens work best when they serve as a soundboard for social movements. They will have to be a catalyst for the Climate’s Seattle in Le Bourget in Paris. More generally, after the European elections, we must be ready to act to make sure that tackling climate change is an absolute priority on a planet that will soon have a population of 9 billion and where the majority of ecosystems are already in the red.